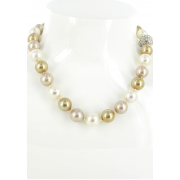 An elegant necklace with a single row of faux pearls from Nour London. 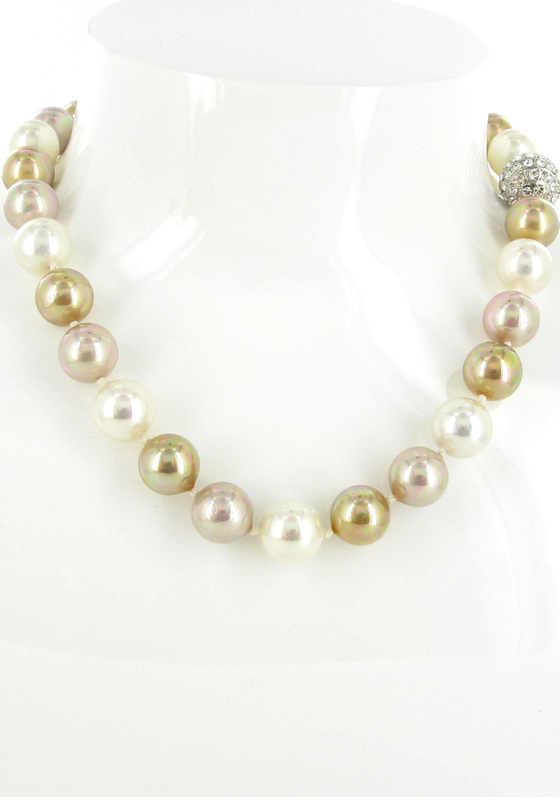 These multi coloured faux pearls will add a sophisticated look to any outfit. They feature shades of gold, cream and light pink with a single crystal magnetic ball to open and close the fabulous chain.